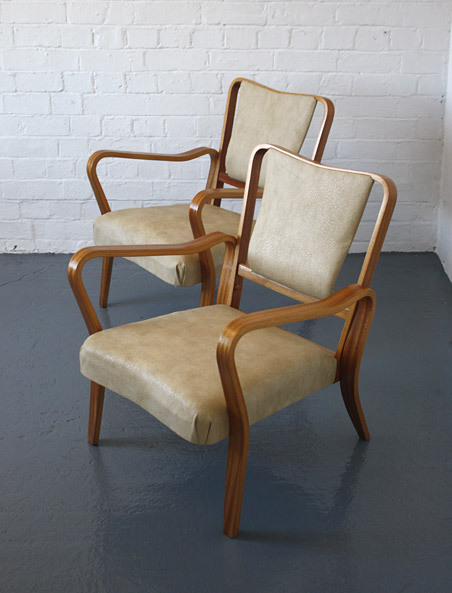 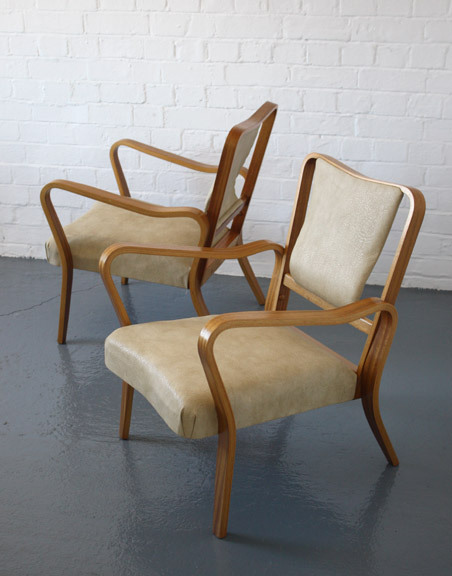 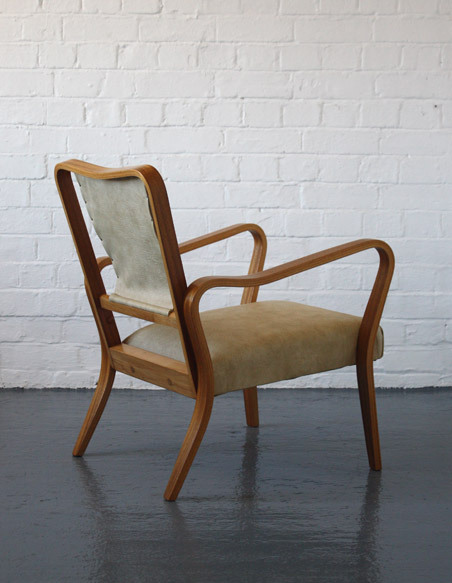 An elegant pair of chairs designed in 1948 by Eric Lyons for Packet Furniture, UK as part of the Tecta range. 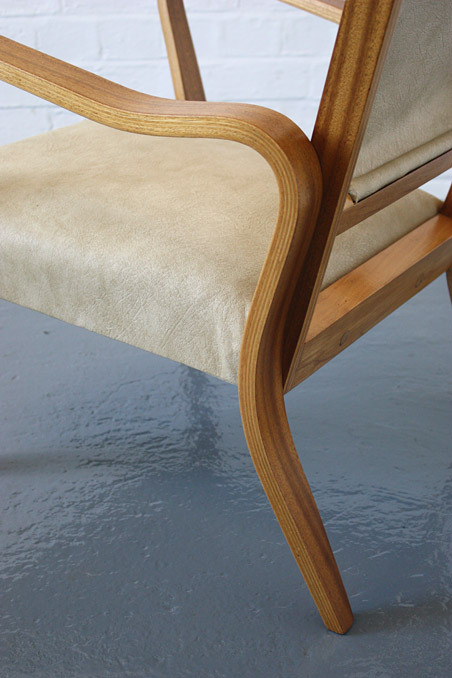 Bent beech laminate frame with sprung seat with the original cream vinyl upholstery. 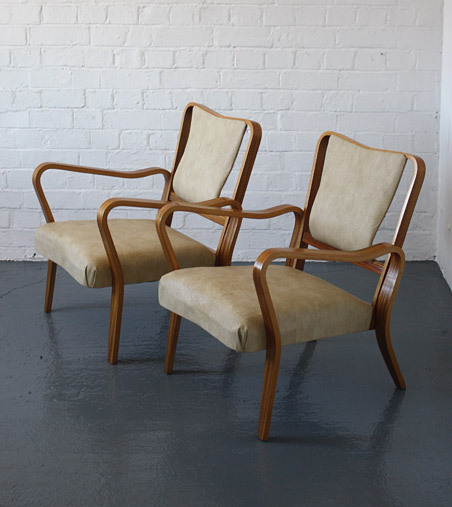 In excellent condition, the frame has been repolished, the upholstery has some light wear. 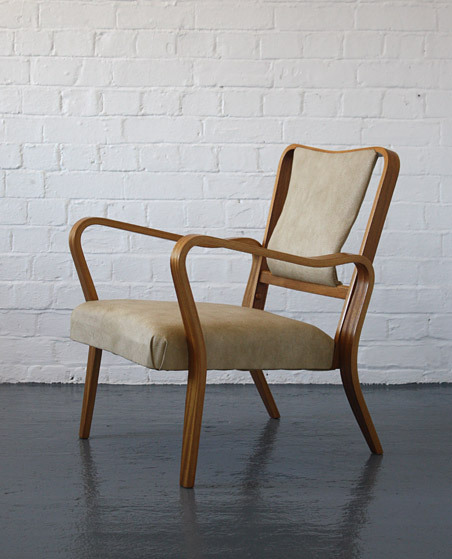 Dimensions: 57cm wide x 74cm high x 67cm deep x 36cm seat height.